New Mesa Boogie King Snake. A collaboration between Randall Smith and Carlos Santana. Price Here. In 1971 at the crossroads of Vintage and Modern amplified guitar sounds stood two pioneers, Randall Smith and Carlos Santana, and the little amp that could… the Boogie®. The passion, creativity and dedication of these two artists intersecting at that revolutionary time in music history can only be called fate, and the resulting impact on the guitar’s voice will be felt forever more. With so many “FIRSTS” it set the world’s pro guitarists on their collective ear, the Boogie ushered out the old notion of a guitar amp and transformed it once and for all into a legitimate instrument. The Compact 100 Watt 1×12 Combo, Tube Cascading High Gain Preamp (SUSTAIN), FOOTSWITCHING (Clean to Overdrive), Half Power Switch (100/60), Pull-Gain Boost, On-Board Graphic EQ, Slave Out, All World Export Transformer, Custom Hardwood Cabinetry and a Wicker Cane Grille were all innovations seen exclusively on the world’s first boutique amplifier by the world’s first boutique amp builder, Randall Smith and MESA Engineering®. The Limited Edition King Snake™ is legendary in both sound and story because it is the direct descendant of the original Boogie that stood alone at that intersection so long ago. That amp was the transitional link between the low gain single channel amps of yesteryear and today’s current high gain, multi-channel footswitching amplifiers. Before the Boogie’s appearance back then, players had to turn an amp all the way up to get overdrive and sustain and it occurred in the power section, which of course was LOUD. With the creation of the world’s first high gain tube preamp in 1970, found only in the little Boogie by MESA Engineering, players could achieve sustain and singing tube overdrive at any volume. Revolutionary! The rest is history – and while it is correct to say that the little high gain, high power 1×12 Boogie Combo changed guitar and popular music forever, the story doesn’t end there! This tribute model is an exact replica of the amp Carlos Santana toured with in 1972/73 as he introduced the world to this new sound, right down to the unique chassis size and the aged Snake-embossed Lambskin covering. But it has also been updated to include all our most secret Tone discoveries uncovered throughout the 43 years since the original’s creation. These improvements, some visible and some hidden, increase the performance and versatility while recreating the original voice with full authenticity. They make the Snake™ more usable across a wider range of musical styles and power requirements and add exciting new possibilities for expression and enjoyment. 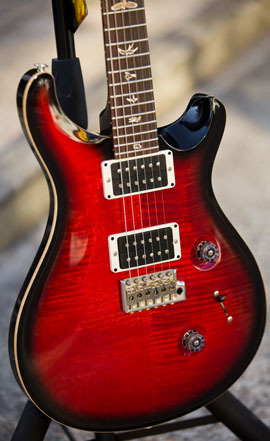 A couple of new PRS Custom 24’s now in stock at Guitar World Queensland. Our first beauty is a Custom 24 in Faded Blue Burst with Gold Hardware. The Gold Hardware sets the faded blue burst off perfectly. The next one is a Custom 24 in Scarlet Smokeburst. 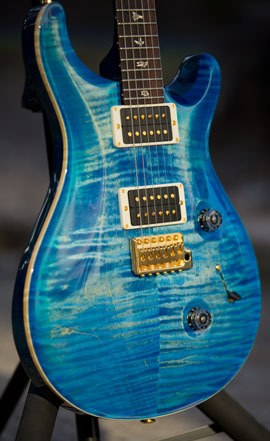 Head to www.guitar.com.au for more photos of our PRS Collection. 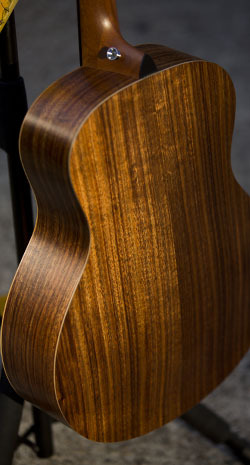 We have just landed the beautiful Taylor GS Mini Koa at Guitar World Queensland. The GS Mini Koa looks stunning with beautiful flame Koa in a golden color with flicks of yellow running throughout the wood grain. 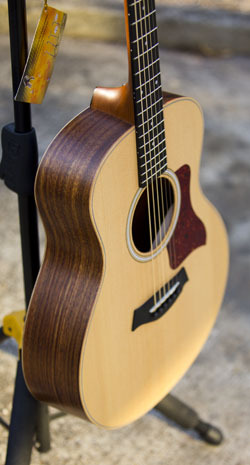 The Taylor GS Mini is the best selling acoustic guitar at Guitar World and these GS mini koa’s take it to the next level again. These will not last long. 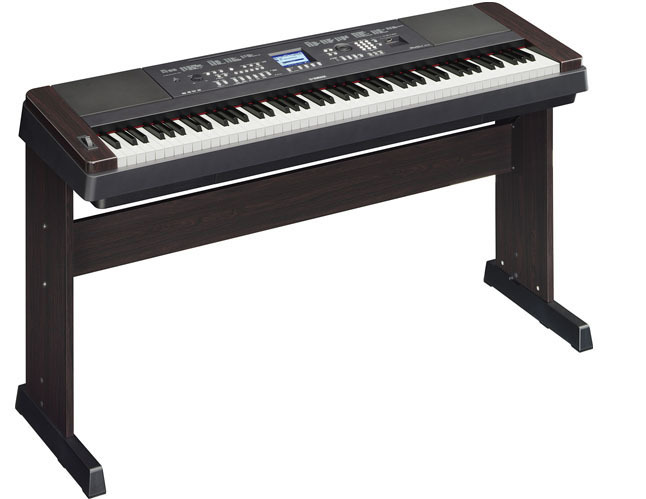 The new yamaha DGX650 is the updated version of the Yamaha DGX 640. This is a beautiful keyboard and you will struggle to find anything that beats it for around the same price. The sounds inside the Yamaha DGX650 have all been recorded from yamahas highest quality acoustic pianos. Not only are the sounds in the Yamaha DGX650 of the highest quality but it also plays beautifully. The graded hammer action ensures smooth even playing across the range. Here is a demo video of what the DGX650 can do. There is now a new slash les paul available. The Slash Rosso Corsa Les Paul is the latest Slash Signature Guitar. After saving big rock riffs from the electronic mainstream with Guns N’ Roses, and tearing it up big time with Snakepit, Velvet Revolver, and numerous solo and side projects, Slash truly needs no introduction. His new Gibson Les Paul, though, is something you do want to hear about. The Slash Signature Rosso Corsa Les Paul blends timeless specs with Slash-approved features and fine points all dressed in a brand new finish from Gibson USA: Rosso Corsa—or “racing red.” This luscious, deep-reed transparent finish in hand-sprayed nitrocellulose lacquer beautifully shows off the guitar’s Grade-AAA flamed maple top, while letting the tonewood breath to enhance a rich, deep, resonant tone. Commemorative details include a distinctive Slash graphic on the headstock, echoed in a silkscreen on the included black Gibson USA hardshell case. Add a pair of Seymour Duncan™ Slash Signature® humbucking pickups, a TonePros™ Tune-o-matic bridge and stopbar tailpiece, and top it all off with unparalleled Gibson build quality, and the Slash Signature Rosso Corsa Les Paul sounds every bit as killer as it looks. All new Musicman Guitars made by Sterling. If you have ever dreamed about owning a John Petrucci signature guitar or an Eddie Van Halen signature guitar without the high prices, then these are for you. The Musicman Sterling guitars are some of the best value for money. Most models sit under the $1000AUD mark making them very accessible. The Sterling Sub series are the entry level models starting from $399. Good quality parts with a solid vintage tremolo that holds it’s tune. If you are after the full floating trem you will need to step up to the Sterling AX40. Head over to the Guitar World Australia website and check out the full range. 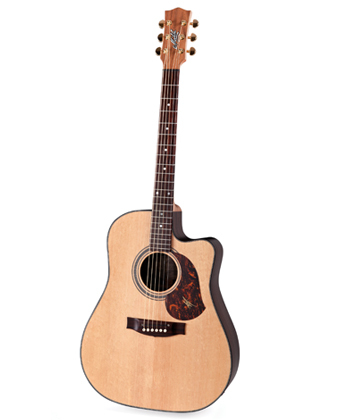 Introducing the new Maton ER90C. This is a beautiful satin version of the Maton Messiah. 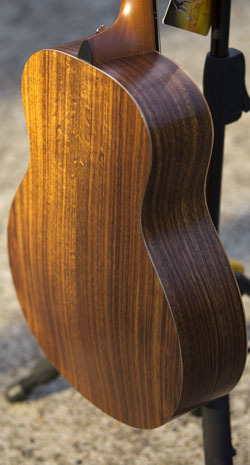 The satin finish really lets this guitar ring out allowing the rosewood and spruce to resonate beautifully. This is one of my favourites out of the Maton line up and is definetly worth a look if you are thinking about a all solid acoustic guitar. It also comes with Matons new AP5 pro pickup which is a huge improvement on the old system. The AP5 Pro now features Separate Microphone and Piezo input controls allow for blending of both microphone and piezo levels prior to sending the actively combined signals through to the tone circuits and master volume. Highly selective cardioid microphone system allows for much greater microphone level before feedback in live environments. This newly upgraded microphone is direct mounted to the preamp casing via an adjustable arm, which permits easy final tweaking of microphone position to suit the individual artists style. Tighter component packing via miniature surface mount components allows the complete preamp to be placed on one PCB, so the complete system is smaller and less prone to hum and noise pickup. The greater rigidity of this smaller PCB means that it is less prone to develop problems with aging, and because it is bolted into position in the casing, the whole assembly is unlikely to develop rattles with the constant movement and shipping expected of performing musician’s instrument.